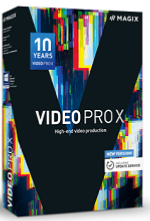 ·High quality video software NEW! ·Includes additional source monitor NEW! ·Multicam editing for up to 9 cameras NEW!